We added Chalet 4 to our offerings in 2016 to fully offer something for everyone – We now have chalets in all parts of the resort and area so that no matter what you are looking for we have something for you. Based just 8 minutes walk away from the central bars and restaurants you have easy access to everything you need in the evenings. Our team are on hand to be ready nice and early to get you up the hill and riding for first lifts while getting the most out of everything else on offer. 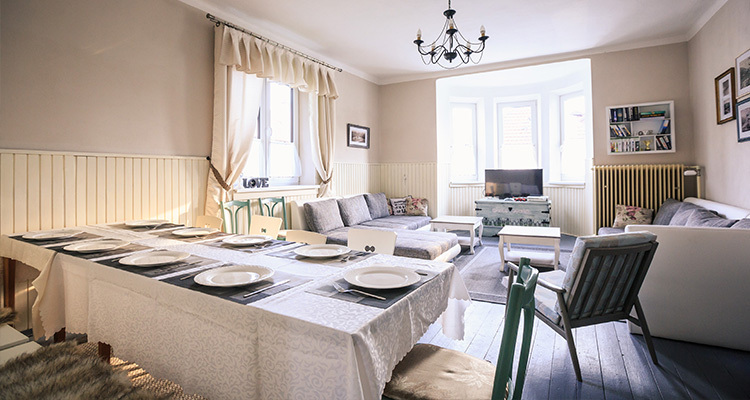 Sleeping up to 12 guests in 4 en-suite rooms this traditional styled Slovak home was once the local priests abode and we’ve tried to maintain as many of the original features as possible. 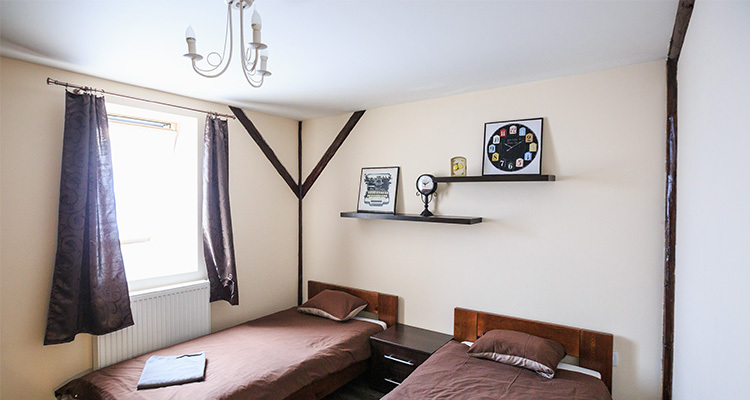 A large traditional Slovak Town house once built for the local Priest – 4 en-suite bedrooms with kitchen living/dining room. 1 quad room, 2 triple rooms and a twin complete the house set up. A quad room on the main floor and a further two triple rooms and a twin room in between. 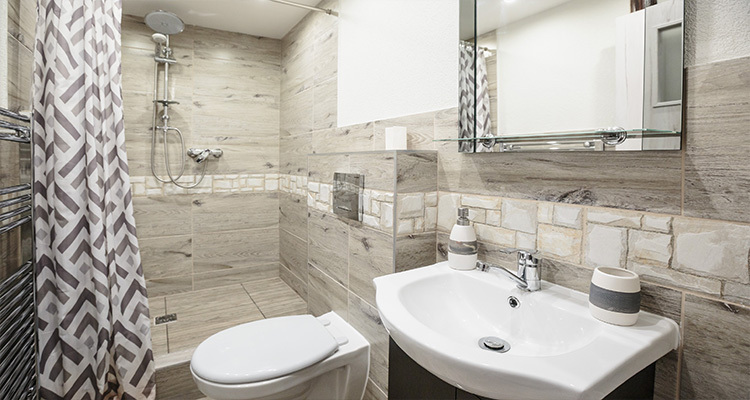 All ensuite rooms give you the privacy and comforth in this large traditional town house. With a large living/dining room with collection of Xbox, films and wifi, you will feel right at home when not out on teh hill. The full ktichen gives you the opportunity to cooks yourselves a top notch meal or just take a short walk into town and choose from the multiple restaurants on offer. As with all of our chalets, you have the option to take an individual room in the chalet or the chalet as a whole. Prices include accommodation with all linen and towels, breakfasts in the chalet as well as transfer to(7-9.45am) and from (3.30 to 4.45pm) the slopes. 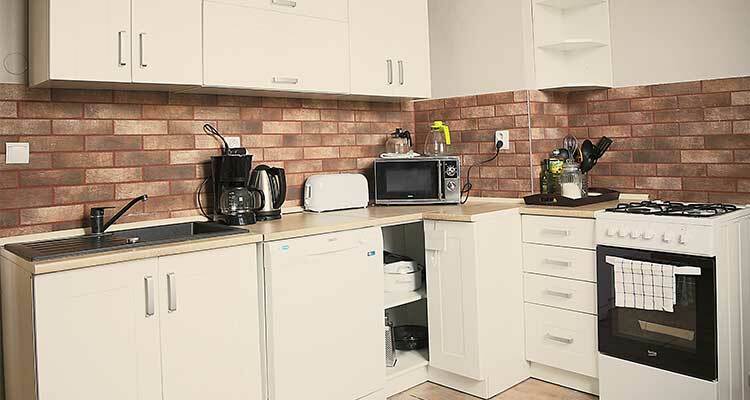 In the evenings you are right in the town for easy access to entertainment or you can head to the aquapark, go karting, hockey or other evening activity that is taking place. Book yourselves a room in the chalet and meet and hang out with other like minded individuals here to see the best of what Slovakia has to offer. Prices include accommodation with all linen and towels, breakfasts each morning at the chalet as well as transport to and from the slopes and guiding by our team. All of your mates have the whole chalet to yourselves for the best in a combined chalet holiday experience. Get all of the rooms for a maximum of 12 guests and make the most of your private chalet. All services of individual rooms packages are included.